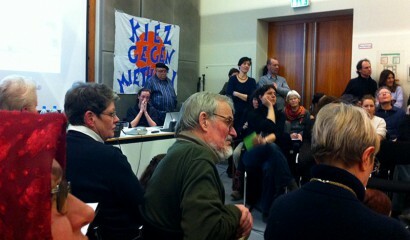 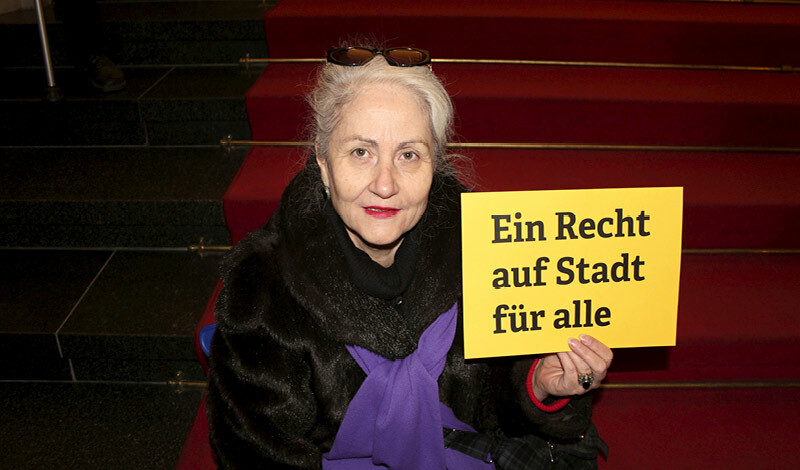 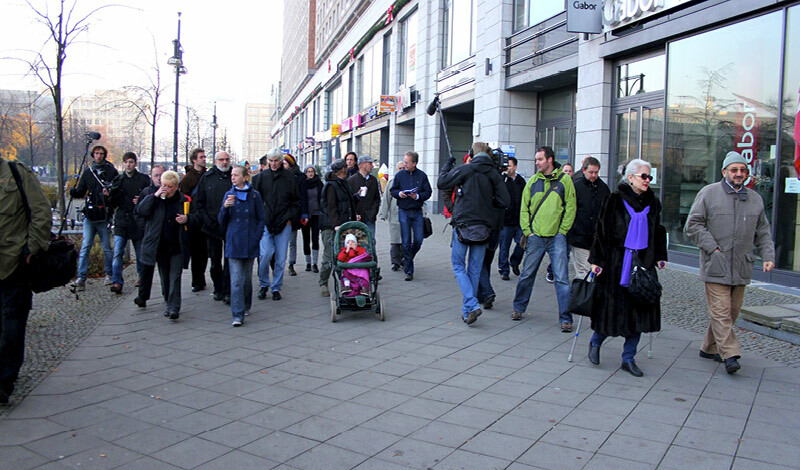 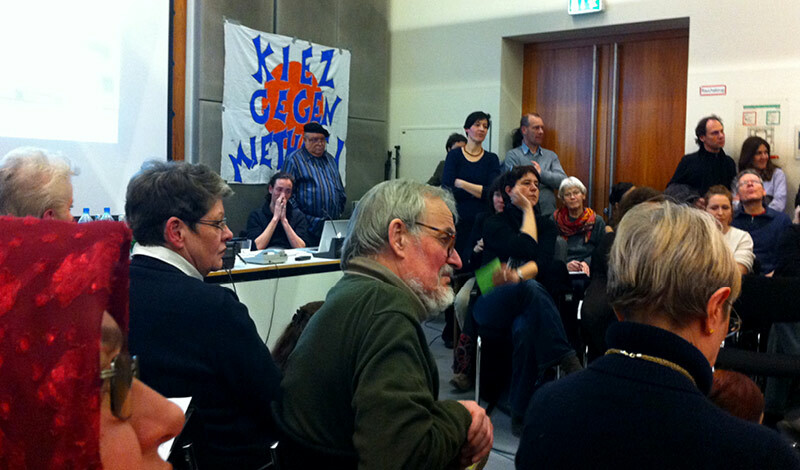 right to the city (henri lefebvre) is a slogan used by a coalition of tenants organizations who came together in late 2011. the members of the network represent a wide range of rent struggles in berlin – such as problems with social housing, luxury modernization, privatization of public city housing and so on. 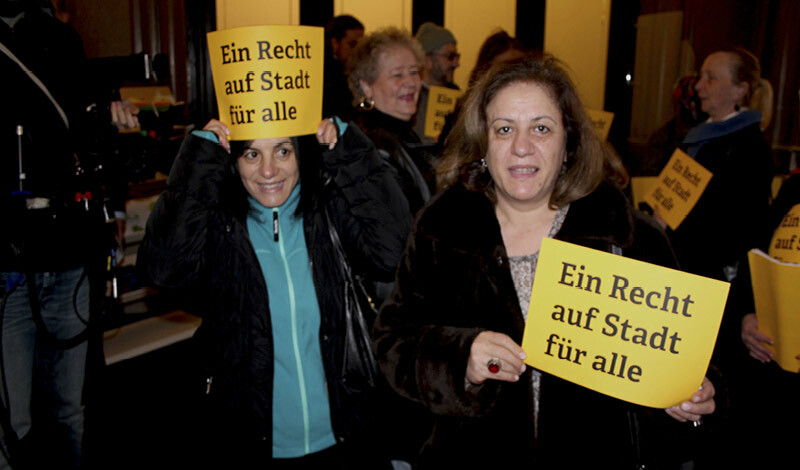 they understand their issues and problems with rising rent and gentrification as structural problems on the housing market in berlin. 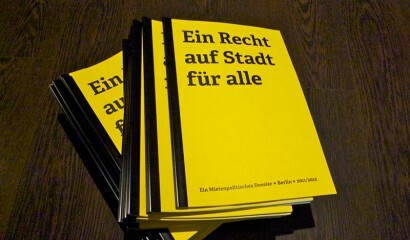 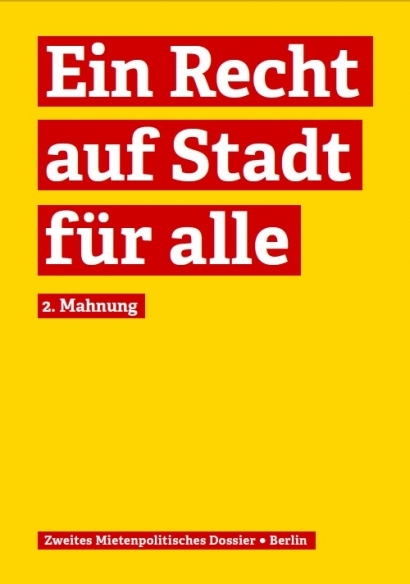 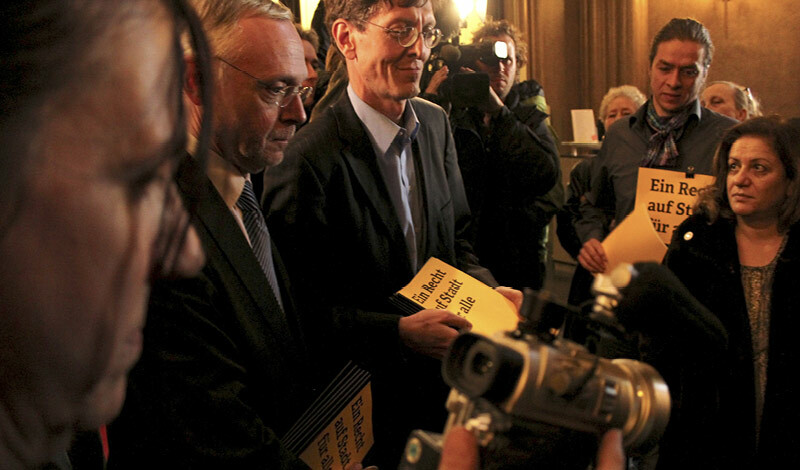 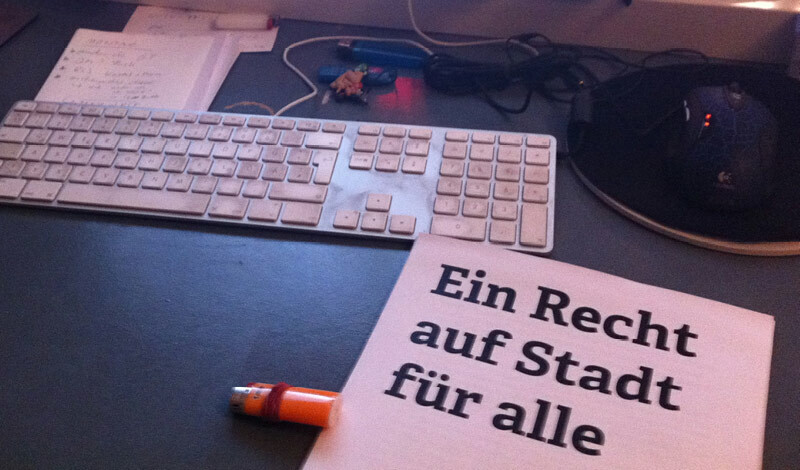 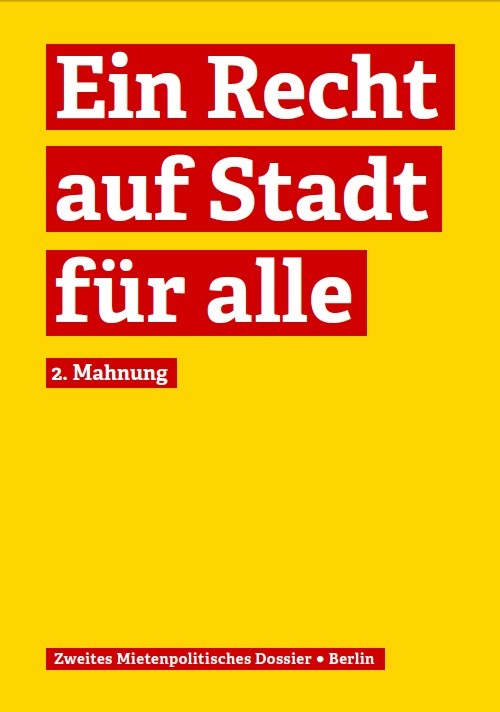 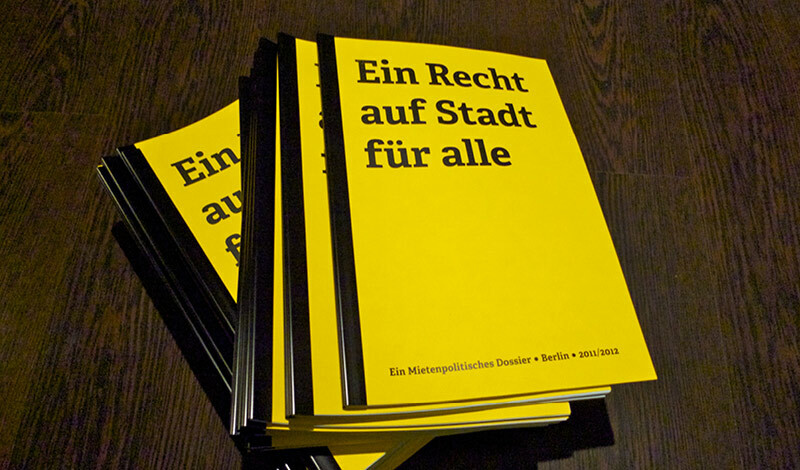 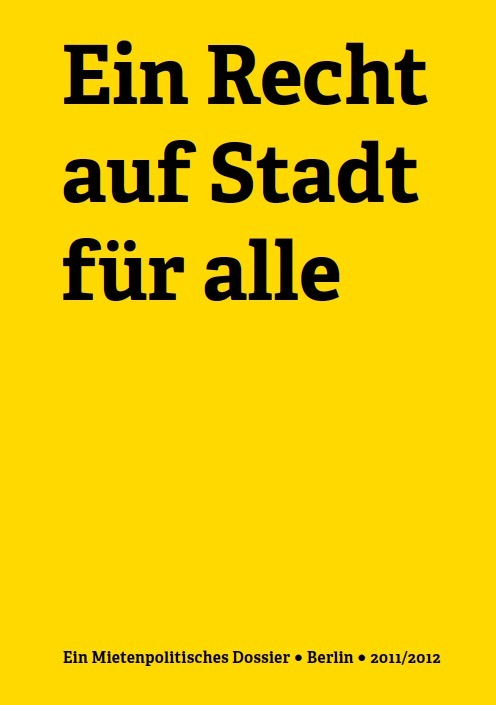 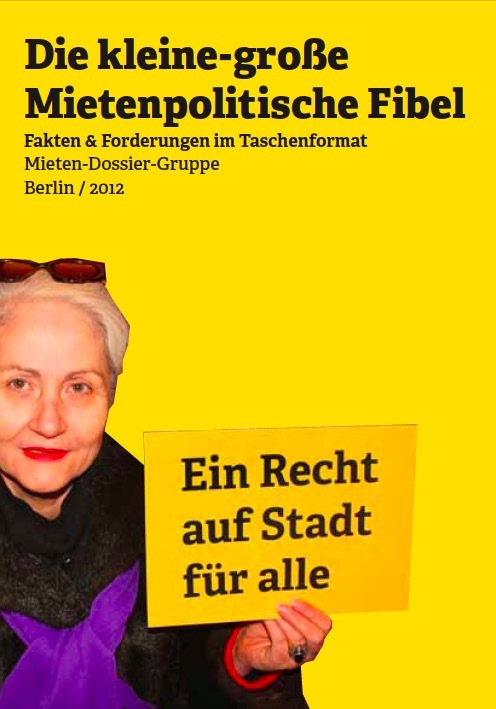 therefore they published a booklet (dossier) which helps politicians, the media and the wider public to have all urgent issues regarding gentrification in berlin bundled on the table. 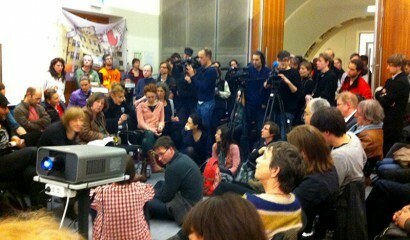 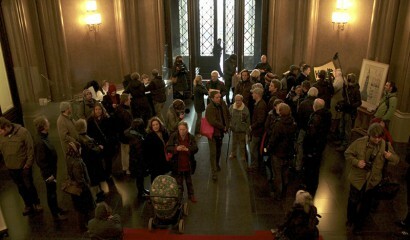 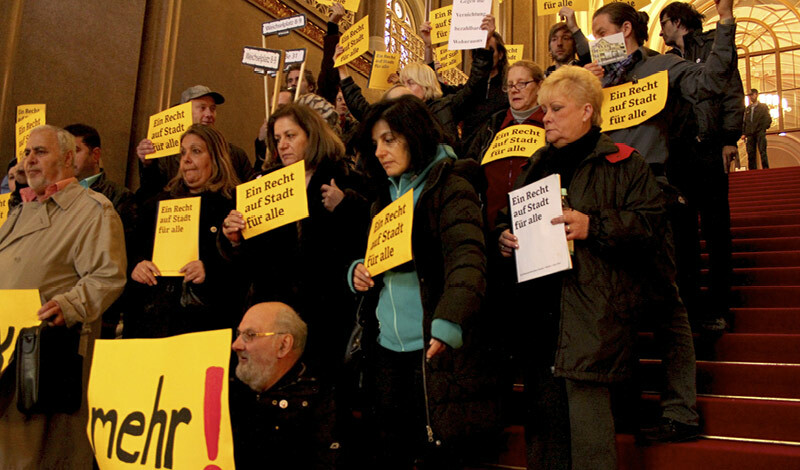 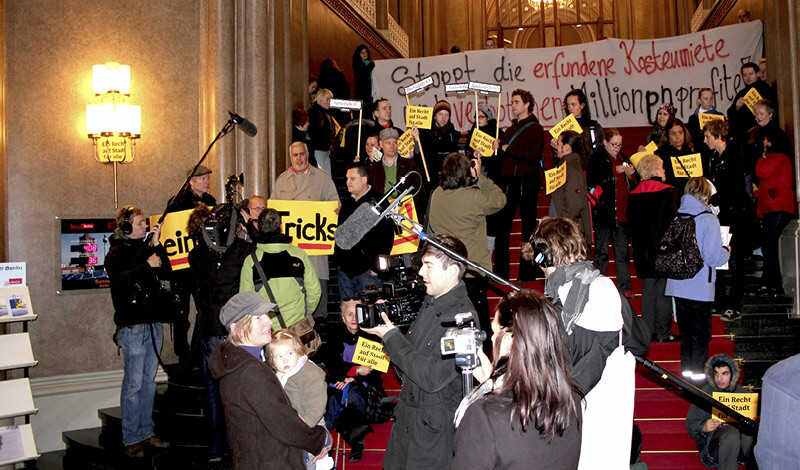 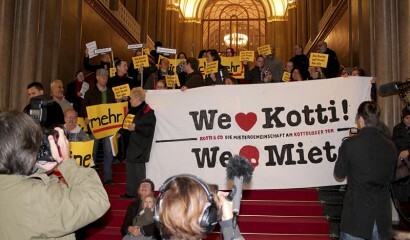 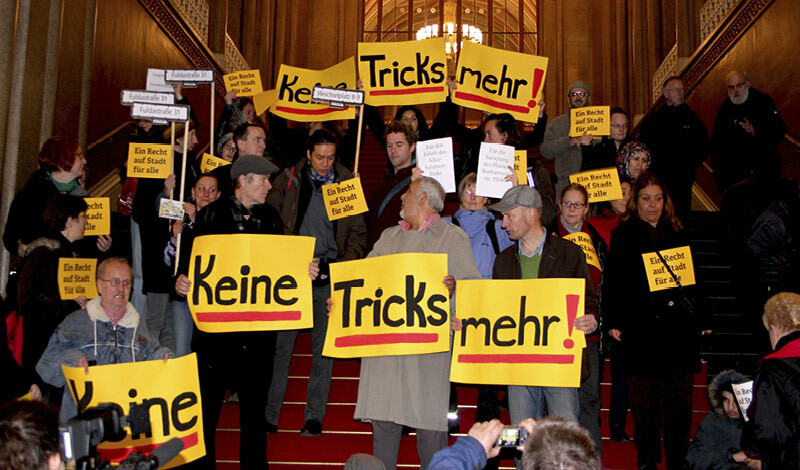 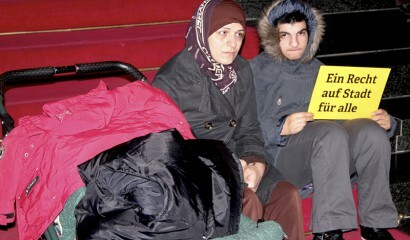 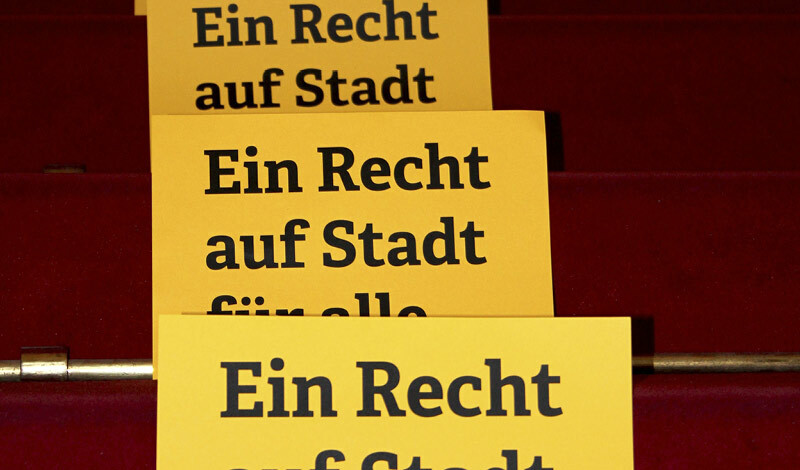 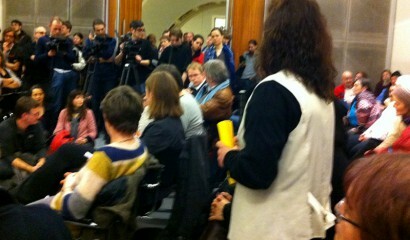 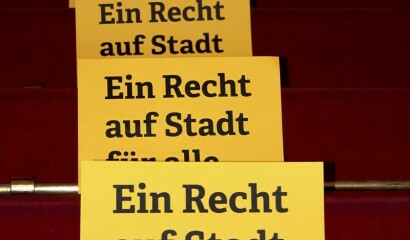 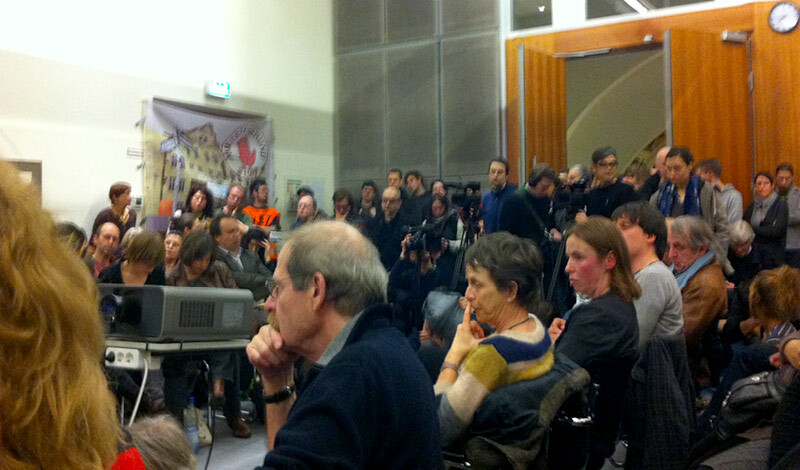 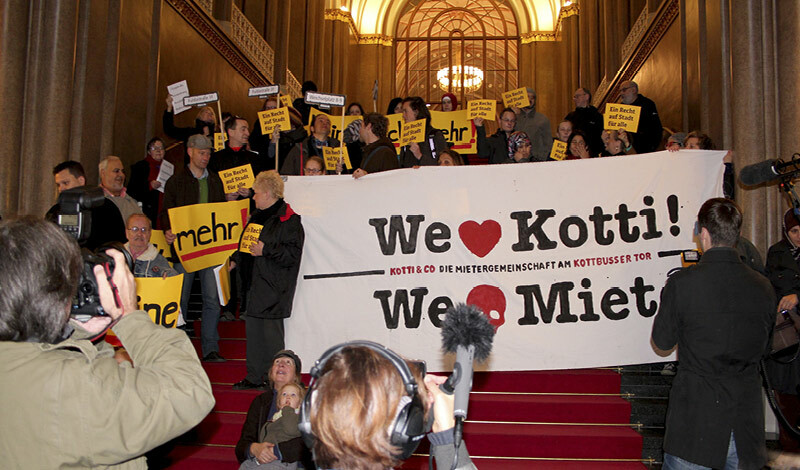 the slideshow shows impressions from some of their actions, such as protesting in the rotes rathaus (city hall) while the forming of the new city government, a discussion event in city parliament house and else. 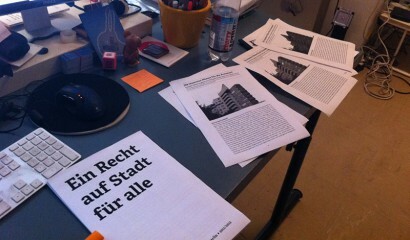 image-shift helped to produce all printed matter for this network.